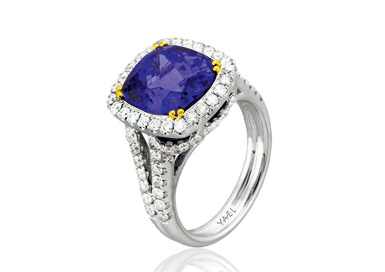 Cushion cut sapphire surrounded by diamonds with a split shank, 3.00 ct sapphire 1.26ct tw. diamonds. Now this is a WOW ring! !